It is astonishing, but also comforting, how we can get used to recurring, predictable sounds. Some time after I moved into an apartment that was directly above Berlin’s U4 subway in the district of Schöneberg, I was regularly woken at 5 AM by the rumbling of the first train. The subway tunnel, dating back to 1910, wasn’t built as deeply as modern lines, but directly under street surface instead. The sound of the rolling carriages varied; on some occasions, it was louder than others. But soon, I became less and less aware of it, obviously having grown accustomed to it. And if I did hear it on the occasional morning, it was a pleasant sound. So not only had I accepted the noise, I’d even started to associate it with my feeling of well-being at home. Looking back, what seems decisive about my change of heart was, firstly, the regularity of the sound and, secondly, the fact that it didn’t exceed a certain threshold. It was also inescapable: I came to terms with it because the alternative would have been to move out again. 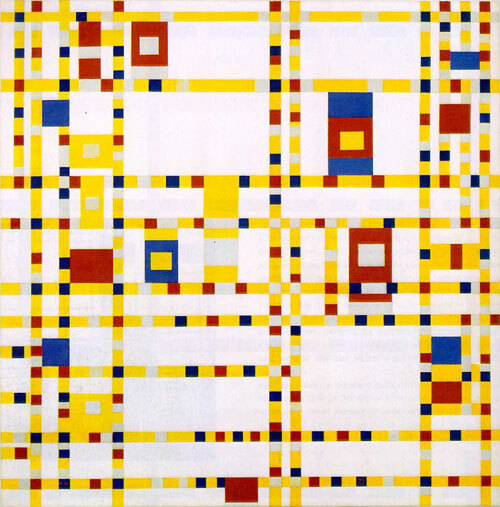 Piet Mondrian, Broadway Boogie Woogie. The De Stijl painter loved grids, primary colors, jazz, and the bustle of New York City. Some reactions hark back our distant past when we had to watch out for natural dangers — wild animals, for example. And a screaming child is sure of his parents’ undivided attention, because noise here serves as a warning signal, whereas strangers just roll their eyes. This is the conclusion reached by scientists who investigated the acoustic characteristics of screamed and spoken language, or more precisely, the frequency with which volume and pitch change. In normal speech, this modulation frequency is very low — the changes are slow, in other words, not going above 20 Hertz. Screaming, on the other hand, covers the range between 30 and 150 Hertz. Acousticians define this area as being “rough” in timbre. “The roughness of screaming is the acoustic equivalent to the rapid flickering of a disco stroboscope,” explains Luc Arnal, a neuroscientist at the University of Geneva. How have people from other eras and cultures perceived the world of sound? There is a certain appeal in imagining these soundscapes from the past — the endless clattering, clacking, hammering and shouting that went on in medieval towns (not to mention the stench), for example, in which people were trapped and forced to accept as inevitable. But although we might have a dim inkling of how things used to sound, we cannot “hear” them exactly because we all store the experience of our own soundscapes: our hard drives can’t be wiped clean and started from scratch, as on a computer. It sounds like a paradox but the quieter our environment is, the louder it feels to us. When we move from a busy main street to a quiet residential area, we hear the slamming of a car door in a very different way to before. It seems louder because it stands out from the peace that reigns otherwise: the relationship between noises changes. And if our ears are already sensitized to particular noises — if we have been het up over our neighbors’ loud fights, for example — then we almost start listening out for them again. Loud “casserole” protests, where demonstrators bash pots and pans on the streets at deafening volume, are a way for people to vent their anger against governments. They also illustrate that whether something is considered noise or not depends on your point of view — or in this case, your politics. 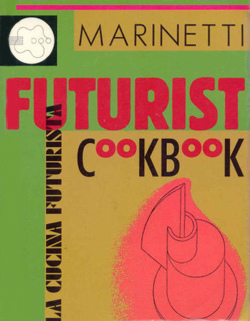 For Luigi Russolo, the Italian futurist, noise was an expression of strength and masculinity. He celebrated it; the rattling of machines inspired him. He also wrote a pamphlet entitled The Art of Noises (1913). Is whether we perceive noise as such a matter of attitude? “Wherever we are what we hear is mostly noise. When we ignore it, it disturbs us. When we listen to it, we find it fascinating,” said John Cage. Left: photos of Russolo’s Intonorumori, instruments described in The Art of Noises. 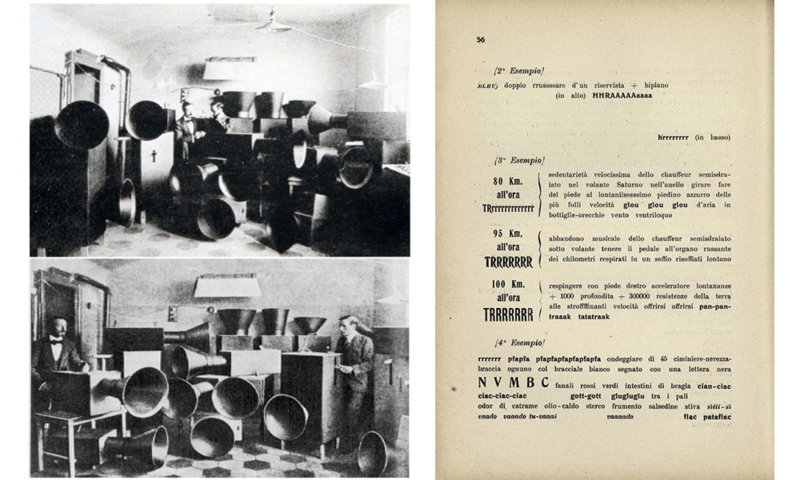 Right: a page from The Art of Noises by Luigi Russolo. What role does noise play in the lives of animals? In Switzerland during this hot summer, there was a controversy over whether cows that wear bells around their necks might suffer damage to their hearing. “For the cows, these bells are as loud as if a pneumatic drill were held to our ears,” claims Nancy Holten, a Dutchwoman and resident of Switzerland. Her Facebook page “Kuhglocken out” (“Cowbells out”) has 4,000 followers. She refers to research from scientists at the Swiss Federal Institute of Technology in Zurich, who investigated the effects of cowbells on the animals, and found that those wearing bells ate and rested less than those without. 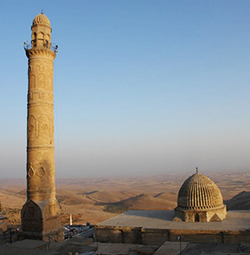 Said bells have the considerable volume of 113 decibels. To illustrate the animals’ plight, Holten posted a photograph of herself with a 12-pound-cowbell around her neck. She advocates the development of special GPS devices with which farmers can easily locate their herds. Some activists have cut the cowbells from the cows’ necks and have made off these valuable items. It remains to be seen how the controversy ends. As incredible as this may sound, elsewhere, the Swiss are feuding over church bells that regularly jolt people awake. 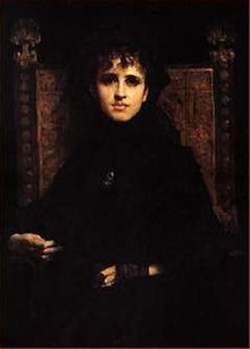 All images via Wikimedia Commons and by the artist noted. 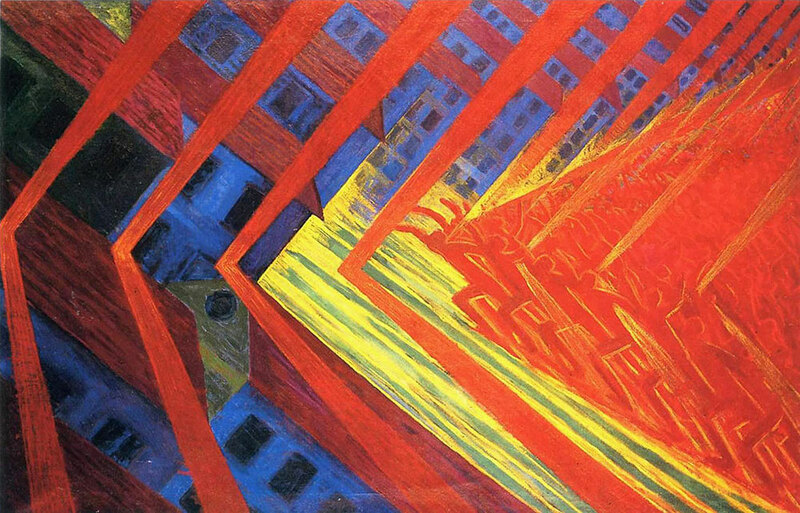 Lead image: Luigi Russolo, The Revolt (1911). That reminds me of a popular aphorism “Music is perpetual and only the hearing is intermittent”.